Prime Original series Tom Clancy's Jack Ryan is so REAL, it doesn’t feel like television! Jack Ryan’s story is not just entertaining but it also delves into a lot about political and religious conflicts around the world. The story focusses on the unsung heroes who work at lower levels, who go to work every day and try to protect their country. In the Prime Original rendition of Jack Ryan’s tale, he starts as a CIA analyst, handling files. In the process, he comes across a terror organization which unearths a whole new challenge in front of him and the upper echelons of the US government. The show’s USP lies in its authenticity. Thousands of ammunition, heavy artillery, pistols, machine guns, rifles and more were used under the watchful eyes of an expert team to maintain the texture of the plot. The wardrobe, the props and the armor were all real to make the show look as raw and genuine as possible. Kevin Kent who is a former Navy SEAL Officer & Natalia Lee who is a professional film armorer worked as military tech advisors on the show and have excellent notes to share on using real weapons safely. Even after resorting to gunfire under extreme safety, the show looks really dangerous and authentic to the point that you feel like you are watching a real event unfold in front of you. The production scale of Tom Clancy’s Jack Ryan is enormous, yet authentic. As John Krasnski puts it, “I don’t know if there is any way to categorize what we are working on, it is so massive. It definitely doesn’t feel like television“. 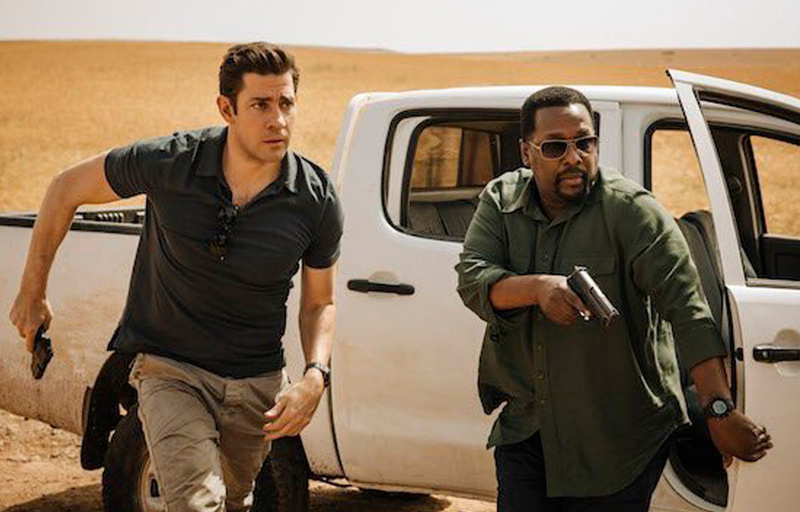 Written and created by Carlton Cuse and Graham Roland in association with Amazon Prime Video, Jack Ryan is set to premiere on Amazon Prime Video on 31st August 2018.